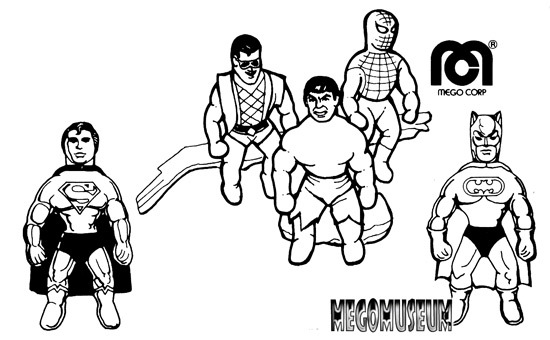 In 1979, the year of their 25th Anniversary, Mego was facing some new challenges with their premier license the “World’s Greatest Superheroes”. 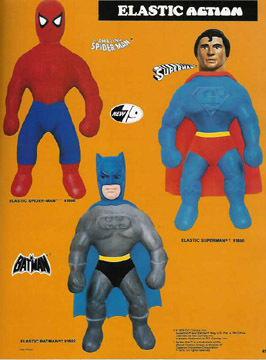 The boys’ action figure market was steering away from the traditional 8″ size that had ruled for nearly 8 years, to top it off rival toy company Remco was cutting Mego’s grass by getting the Superhero license for a series of “Energized Heroes”. 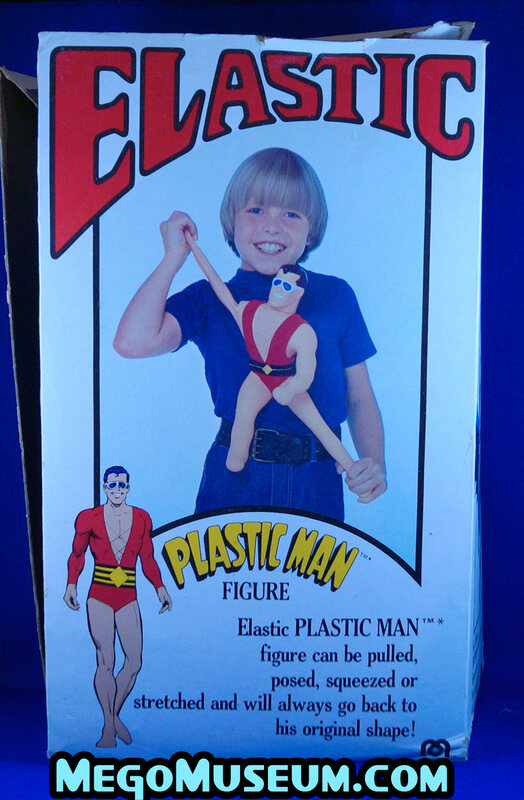 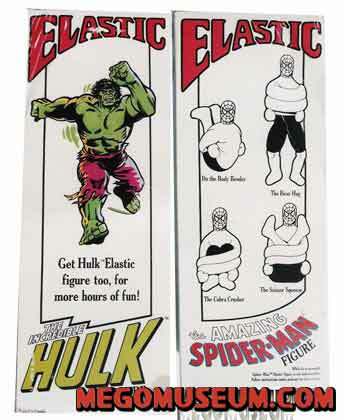 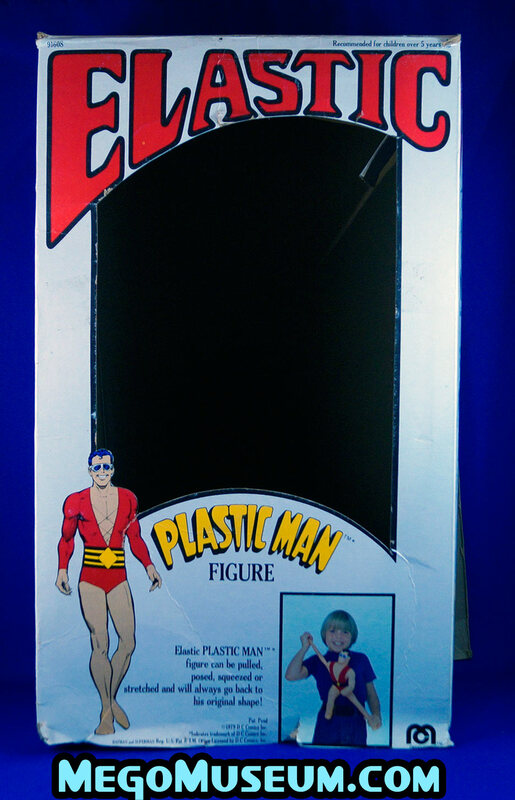 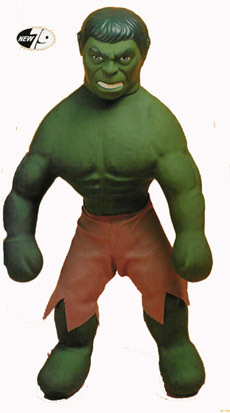 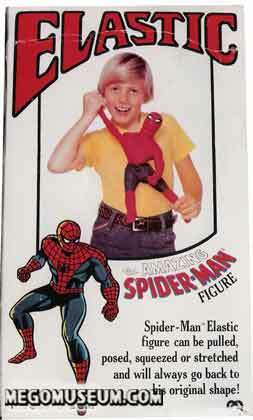 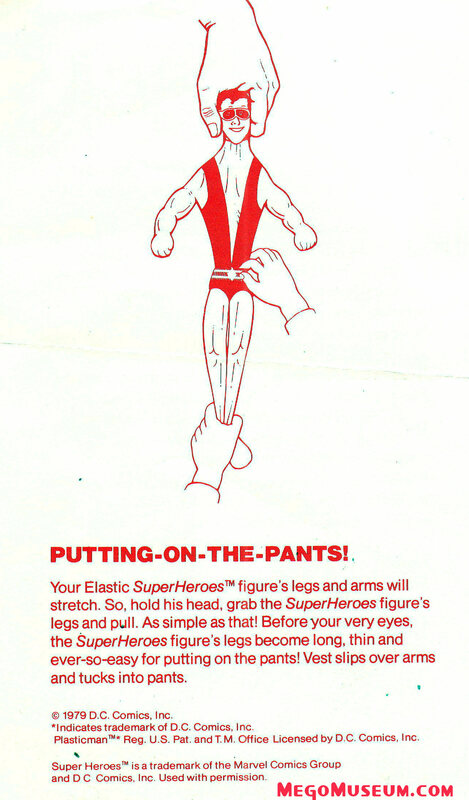 The Elastic Heroes were a take off on Kenner’s popular Stretch Armstrong line, Kenner thought the word “rip off” was more appropriate and promptly sued. 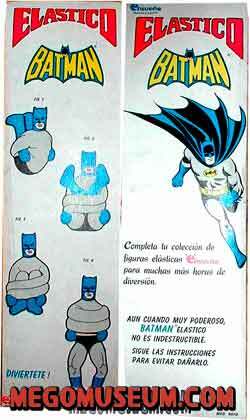 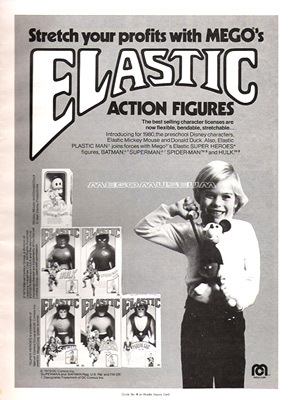 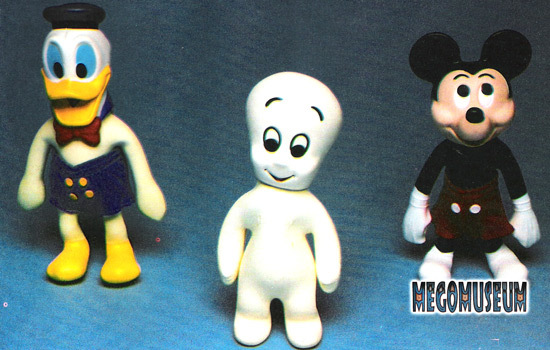 Original Mego 1979 Catalog Page for the Elastic Heroes and a picture of a Kaybee toys circa the early 1980’s. 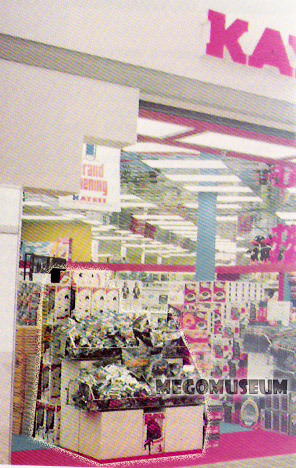 If you look close enough, you can see an entire display of Mego Stretch Dolls. 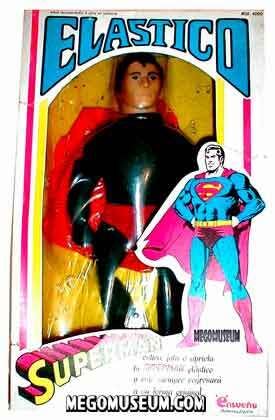 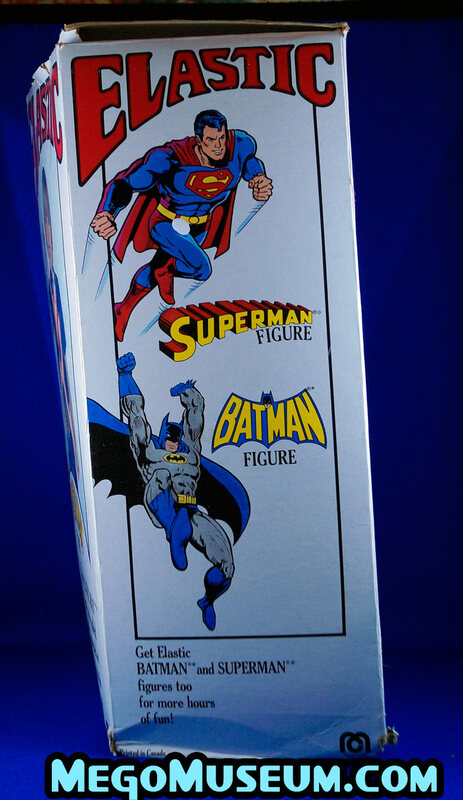 The Batman and Superman Sculpts are very much on model with late 70’s Mego items. 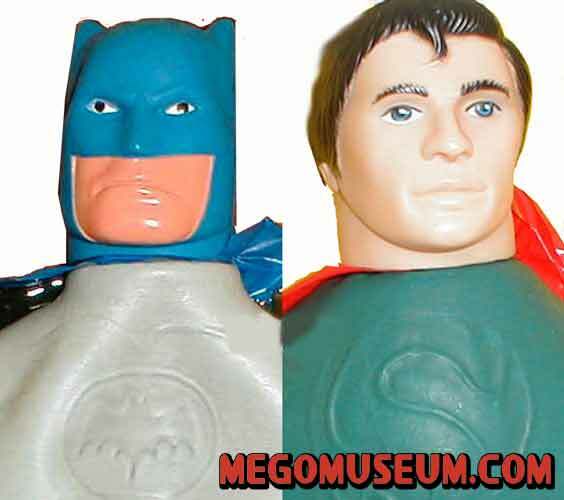 A scowling Batman and a Reeve’s esque face for Superman. 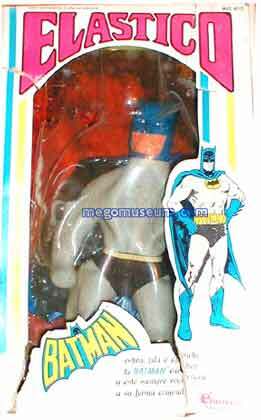 Many thanks to Mexican collector Raul for the use of the very rare Ensueno releases of the Elastic Batman, this is the first time they’ve been shown boxed and are very rare. 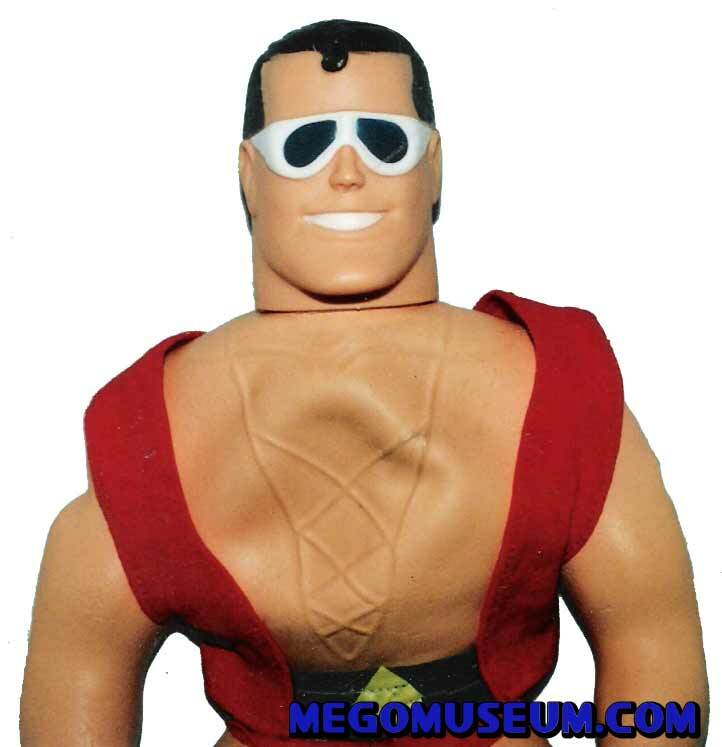 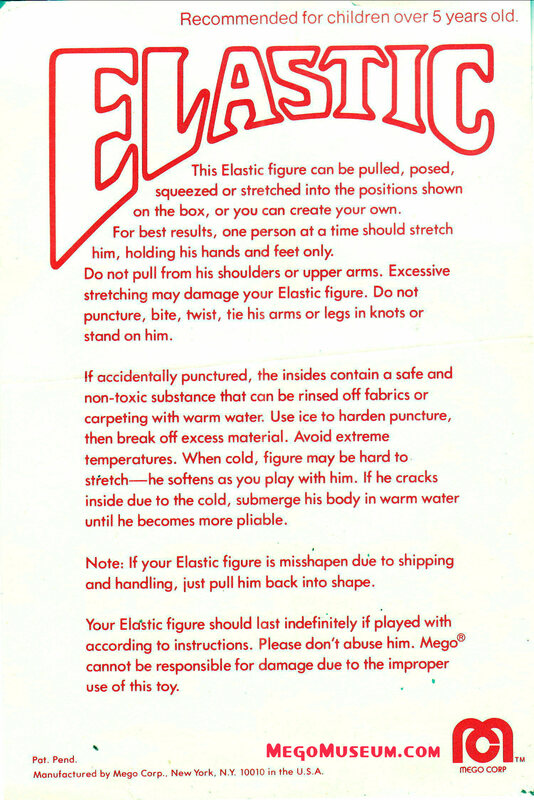 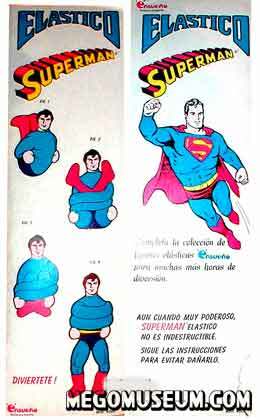 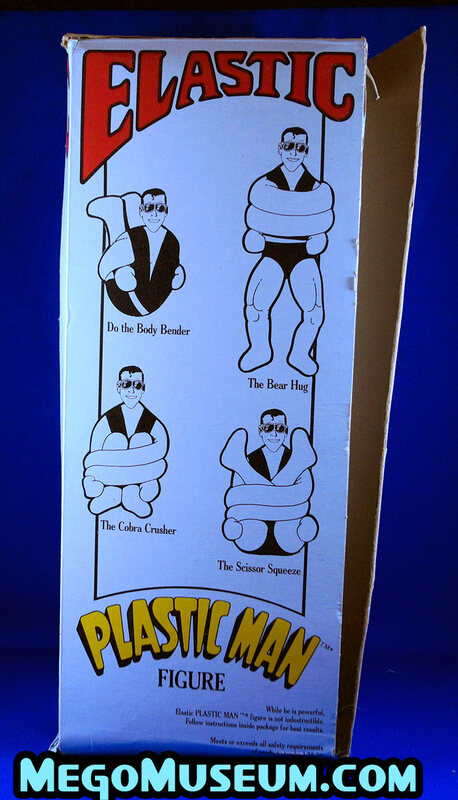 Mego Elastic Plastic Man instructions. 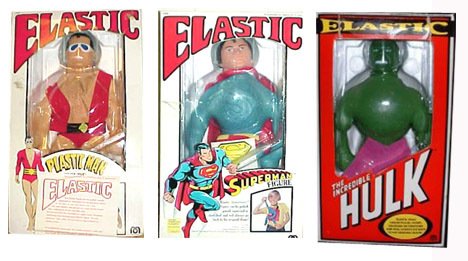 Many thanks to Mexican collector Raul for the use of the very rare Ensueno releases of the Elastic Superman, this is the first time they’ve been shown boxed and are very rare.